Knowledge is power and while SIEM can be the central source for organizations to gather and analyze the vast sea of enterprise data, choosing what to collect is often more important than how you collect it. What types of data are most important? What data types and sources provide the most âbang for your buckâ? What helps you to ferret out the anomalies and the unexpected? How do you take a strategic view of the event data thatâs been collected and how best to process all of it? 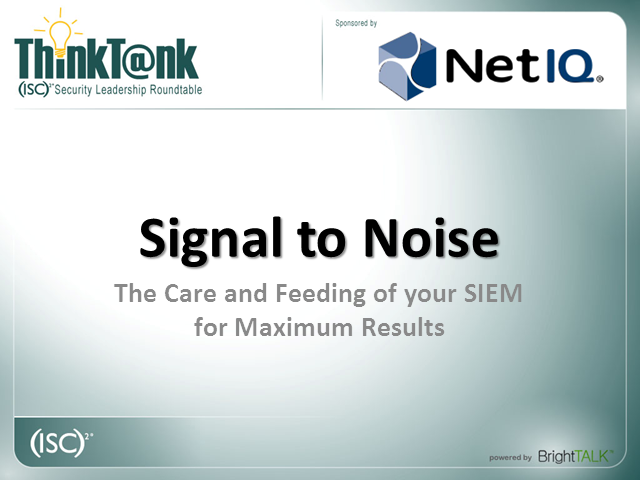 Join (ISC)2 and NetIQ on October 20, 2011 at 12:00pm Noon eastern time for a discussion on SIEM and the critical role it can play in your organization.